The wonderful and prolific author Sally Odgers wrote about her exciting new book Clovie Trefoil - book one of the series The Fairies of Farholt at http://spinningpearls.blogspot.com. Then she tagged me! I'm answering ten questions today about my own Next Big Thing. Maya and the Daring Heist - book two of the Maya series. Maya and the Crystal Skull was officially released in January 2012. I always planned to write a series of books based around the main character Maya and the crystal skulls. 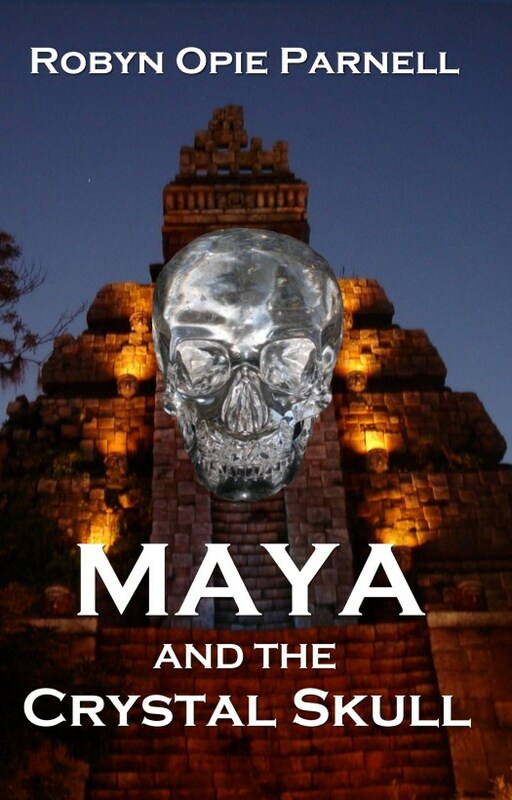 The idea for Maya and the Daring Heist came from reading about the black market trade in ancient artifacts, as well as my own purchase of a crystal skull over the internet. 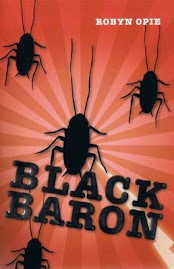 This is a paranormal action/adventure for confident readers aged 8 and over. Maya could be played by Willow Shields from The Hunger Games. Ethan could be played by Callan McAuliffe from I Am Number Four. Now for Maya's dad? Johnny Depp? Brad Pitt? I'm not sure. Maybe Kiefer Sutherland. A birthday present for Maya's dad sets in motion unexpected events - smugglers, the black market - and Maya’s life is in jeopardy again! I'm not sure yet. I have a few irons in the fire, so we'll have to wait and see. Before I started writing I had a goal to write 1,000 words a day, which meant I'd write this 40,000 word manuscript in 40 days. In reality, I finished the first draft in around 45 days. I don't know of any others quite like Maya and the Crystal Skull or Maya and the Daring Heist. 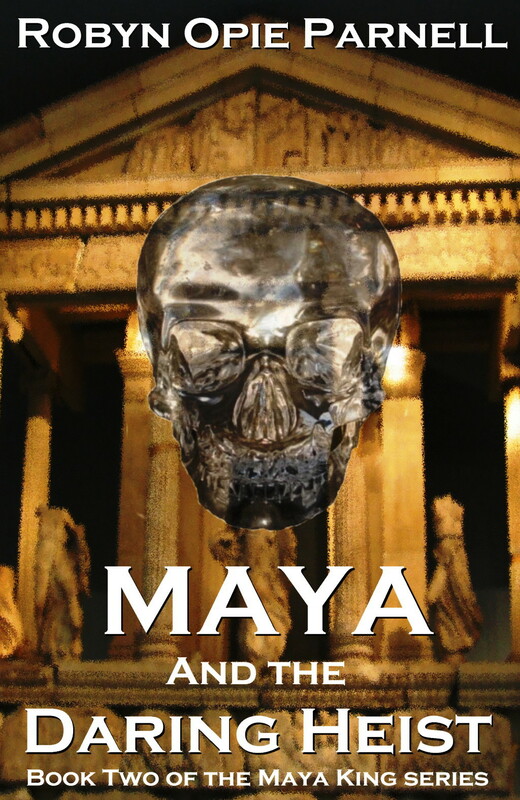 I was inspired to write Maya and the Daring Heist because it's a sequel to Maya and the Crystal Skull. I was inspired to write this series because it involves many of my favorite interests, such as psychic mediums, the ancient Maya, the legend of the crystal skulls, and quantum physics. I love these subjects and enjoy threading them throughout my stories. When I wrote Maya and the Crystal Skull I had to do a lot of research about psychic mediums and spirituality. By the time I wrote Maya and the Daring Heist I was writing from my own experience. In November 2010, I had my first experience as a medium. I saw the spirit of a friend's deceased husband. Trust me, no one was more surprised than me! Since November 2010, I've had many fantastic experiences as a psychic medium. I wonder if readers will notice this difference between Maya and the Crystal Skull and Maya and the Daring Heist. I tagged Wendy Orr for next week and so did Corinne Fenton. Wendy opened Corinne's email first and accepted her offer, then apologized to me. Alas! Please visit the following blogs to follow the game around the world… Where will it end? Please check back here to see if anyone else has been tagged for 16/1/2013. Fingers crossed for the Next Big Thing!